1 SET OF DUAL HITCH BALL TOW HOOKS WITH LOCK. FIT FOR 2" STANDARD RECEIVER HITCH. Max Trailer Weight: 5,000 lb. / Tongue Weight: 500 lb. Gross Towing Weight: 3,500lbs with 1-7/8" ball and 5,000lbs with 2" Ball. Part #: 23404450. 2014-2019 GMC Sierra Note: Not compatible with all models. 2015-2019 GMC Canyon. 2014-2019 Chevrolet Silverado. 2011 - 2019 Jeep Grand Cherokee Mopar Class IV OEM Trailer Hitch & Connector Combo 82212180AC & 56055632AC. Designed as a one-piece welded assembly for added strength over multiple piece designs, Mopar Hitch Receivers match your vehicle's towing capacity/uses. Trending at $138.18eBay determines this price through a machine learned model of the product's sale prices within the last 90 days. For 2006-2012 Toyota RAV4 All Models. 2013-2018 Toyota RAV4 Non-Electric Models. Trailer Hitch ( Pin, Clip, Ballmount & Wirings Are Not Included ). Hitch Class: Class 3. Receiver Size: 2" Receiver Tube. More Display Little color difference from images may exist due to shooting light and computer display. •Made from strong material. •Includes washers. •Prevents rattles. D-ring Isolator. Foldable! 1 Year Warranty! Shipping from USA! Trending at $131.27eBay determines this price through a machine learned model of the product's sale prices within the last 90 days. Husky Towing part number 30849 is a weight distribution hitch with a 1200 pound tongue weight capacity. Husky weight distribution hitch features a built in sway control platform. The Husky hitch for weight distribution is ready for safe towing right out of the box with attached chains. 30849 Husky Towing is protected by a limited lifetime warranty or 90 warranty for commercial use. 49904 Reese Round Bar Weight Distribution Hitch 1000/12000 LB Capacity w/ Shank. The Titan Triple Ball Trailer Hitch is a versatile compact hitch mount that can be utilized on three different size trailer tongues. To change ball sizes, simply remove the locking pin and orient the hitch with the correct ball in the upward position. SERIES 2!! HOT SALE!! 1 YEAR WARRANTY!! FAST SHIPPING!! X-BULL Patent! With Carry Bag! 1 Year Warranty!!! 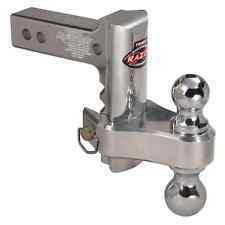 Aluminum adjustable trailer drop hitch Fit 2" standard receiver, has a standard double ball with 2in. and 2-5/16in. 3500lbs or 5000lbs. weight capacity. range adjustable height. 10,000 lbs. GTWR, 1500 lb. 2" Solid Steel Shank Fits 2"square receiver. Fully adjustable from 6-1/2" drop to 6-1/2" rise. Unique swivel tri-ball design for quick and easy ball change. 13" adjustable vertical travel for maximum versatility. 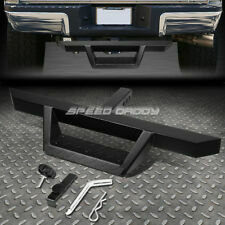 Motorcycle Scooter DirtBike Carrier Hauler Hitch Mount Rack Ramp Anti Tilt 75"
Type :Round Bar. Color/ Finish :Black. Raised Ball Platform For Greater Coupler Clearance. Includes Ball :Yes, 2 5/16". Included in this kit are the two hooks, two mounting bolts, and installation instructions. Part Number 68196982AA. Black, Tow, Hooks, &, Bezels, for, Steel, Bumpe,r Truck, hook. 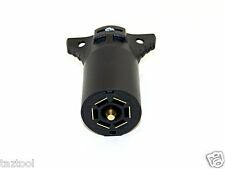 Genuine, Mopar, OEM, Parts, mounted, front, Ram, 1500, Dodge. 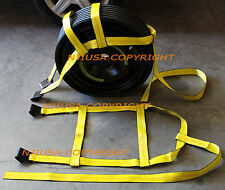 2" x 20ft Tow/Recovery Strap. Designed for high quality towing and recovery for vehicles, ATV's, Boats and light Trucks. -Double Loop Design tough abrasion resistant material. Trending at $198.98eBay determines this price through a machine learned model of the product's sale prices within the last 90 days. For 2004-2018 Toyota Sienna All Models. Trailer Hitch ( Pin, Clip, Ballmount & Wirings Are Not Included ). Hitch Class: Class 3. Receiver Size: 2" Receiver Tube. Towing Specifications: Weight Carrying Capacity - 3500 lbs, Tongue Weight - 350 lbs. 17.5" Long Wiring Harness with 9" of each Male Flat 4 Pin Connector and 2 Female Flat 4 Pin Connectors. 2-Way 12V Y-Splitter Harness,Special Design to Fit For Trailer LED Lights,Tailgate Light Bars and Other Use. Use your car or truck to easily haul another car, truck, or trailer rather than relying on a company. Start moving your belongings the same day to another city, state, or country with the equipment specific to your needs. Knowing the weight of your haul will help narrow down your hitch type, which will further narrow down your additional needs, like straps or locks. What is a trailer hitch and ball? 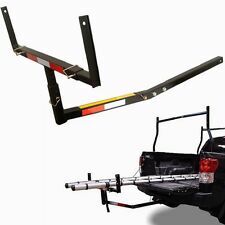 Also known as a tow bar, the hitch is a mount whereby two vehicles can be attached to each other via the chassis or frame. A ball is affixed to one end where the car being towed has a tongue or coupling to be joined to the tube of the one towing. Hitches and balls are classified by the weight of the load they are capable of hauling. What are the types of trailer hitches? The following are the most common options when choosing a hitch whether you want to mount bicycles, a winch, or haul something heavy. Rear receiver: Found in most heavy-duty trucks, these are the most common, mounted to the rear frame, and have a square receiving tube. Front mount: These are mounted to the front of the car or truck’s frame. Pintle: These consist of a ring and a hook and are common in the construction industry where the ring can be mounted to a hitch receiver or the frame itself. Bumper: Designed for lightweight uses, these attach to the bumper instead of the frame. 5th wheel: With a fixed coupling and designed for trucks, these mount directly into the bed or over the rear axle. A jaw mechanism can take up space within bed. Gooseneck: These are designed for trucks and mount directly into the bed or over the rear axle, but they have no jaw mechanism that takes up bed space. Weight distribution: Considered an attachment to a rear receiver, these distribute the weight of the tongue over both vehicles. What are other types of car and truck hauling equipment? Hitch cover or plug: These are designed to be inserted into the hole of the hitch or receiver tube when not in use and often with creative designs or logos. Hitch step: This option is designed to be inserted into the hitch or receiver tube as a means of quick and easy access to your truck bed or roof top. Hook and straps: Often used as a pintle hitch solution, a hook will be needed to connect into the ring. Straps are used in recovery situations, like those stuck in mud. Safety chains: Also known as safety cables, these should be crossed under the tongue to act as a safety net in the event it becomes dislodged. Coupler lock: Used for added security of a stable setup and as a theft deterrent, different models have keys or combinations to access the coupling mechanism.